 HOME> サンシャインクラスBlog > Dancing to music! 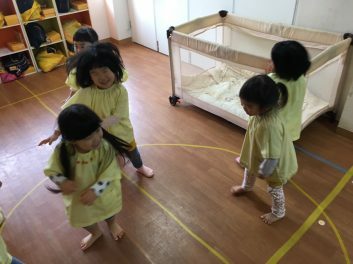 Sunshine kids love listening and dancing to music! It’s a great way to learn English too. 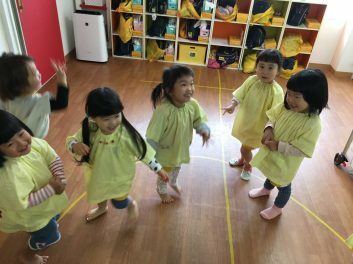 Mouse class are very energetic; we use music to run around around, play with friends and also calm down. 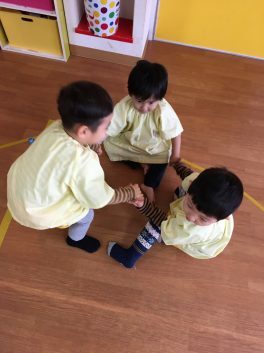 The younger children are having so much fun dancing and playing with friends to the music. 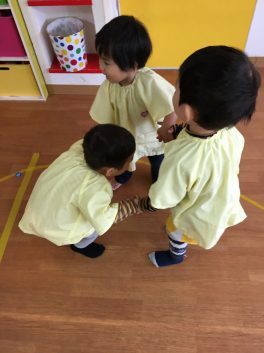 They are beginning to recognize specific songs and will get ready to begin the actions when the song starts. Great work class!